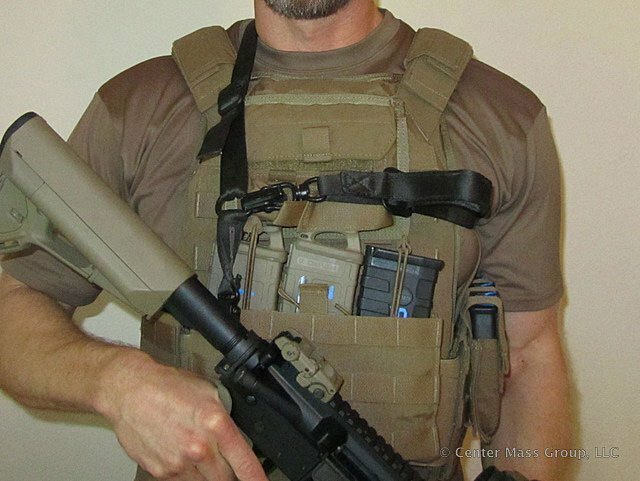 There are many different flavors of rifle mag pouches out there, flapped, non-flapped, polymer, kydex and even reverse flapped. 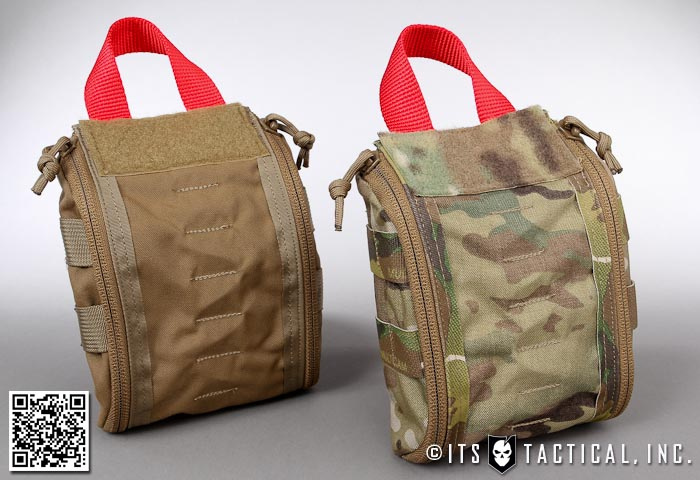 Before we answer the question of whether the lids from mag pouches get in the way on a reload, let’s talk a bit about retention. It’s impossible to talk about the reason for magazine flaps without mentioning retention. 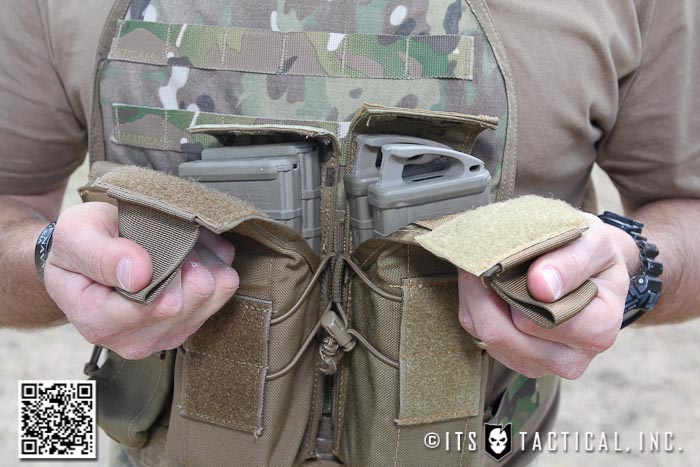 Retention on mag pouches is either managed by elastic webbing or shock cord in traditional nylon mag pouches that either have no lid, like a shingle, or in pouches with a removable lid taken off. 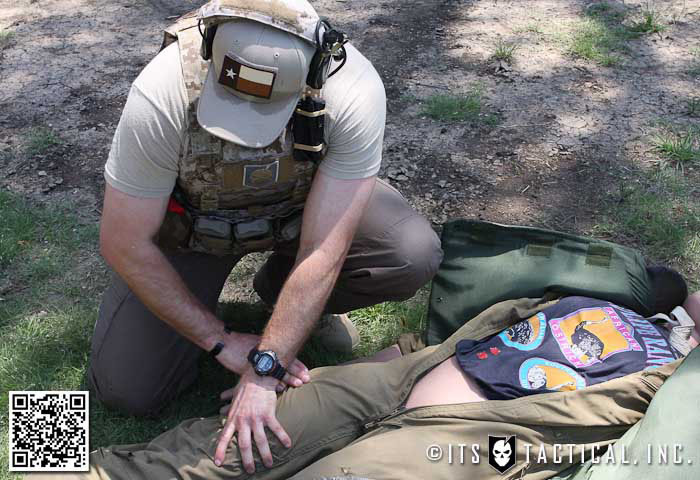 This can be sufficient for most activities that the average shooter finds themselves in while at the range, but when you throw running, climbing or other athletic activities into the mix, magazines can work themselves free and no one wants to loose valuable ammo. Valuable both in terms of cost and especially its value in a real world scenario where each round counts. The possibility of having mags fall out can be increased when a single mag is absent from a double rifle mag pouch too. In this case, unless you’re running a flapped pouch or doubled up polymer/kydex pouch specifically designed to still retain that other mag, there’s almost no retention still on that mag left in the pouch. 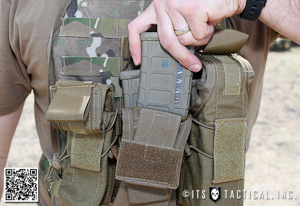 A flap on a pouch like this can be re-secured over that single mag to retain it. This may all seem like common sense, but I wanted to go over it for those that may not be familiar with all the options out there for mag pouches and retention. That being said, lets get back to the initial question of magazine flaps getting in the way. One thing’s for sure, it takes time to open any kind of flap, adding more time to already valuable seconds during a reload. Not only does it take more time, but as you’ll see in the video below, they can actually get in the way during a reload. If you haven’t experienced this issue, then good on you, but I’m writing this article because it happens to me as the video further down will show. I’ve also had the retention issues mentioned above after a single mag was removed from a mag pouch that I wasn’t running a lid on and watched it fall to the ground during certain drills and activities. 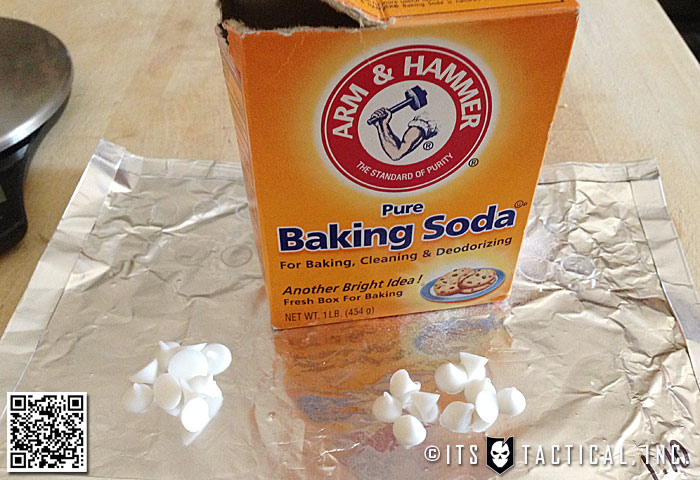 My predicament has always been that I don’t like flapped lids, but understand they’re necessary in certain situations. I’ve always looked for options on the market that would not only allow me to run a mag pouch open without a lid, but still provide a lid at the ready to re-secure a loose magazine if needed. There are some great options out there in terms of kydex and especially the ITW FastMag Pouch, which can even be double stacked. I’ve found the FastMag pouches to be more bulky than traditional nylon mag pouches, but I can’t deny that they hold a mag in very securely, despite having an open top design. 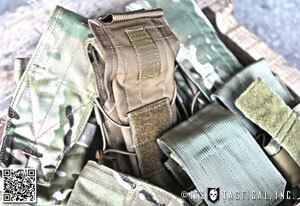 If you don’t mind the polymer option for mag pouches, definitely check out the FastMag pouches. In nylon, I’ve found a product that not only provides the security of a flapped pouch, but also the quick access without worrying about a flap falling back in the way on a reload. What’s great about the Zulu Nylon Gear M4 Double I’m referring to, is that its design lends itself better to the natural fluid motion that your hand makes when pulling down the reverse flap design and coming back up to draw a mag. Rather than continue to describe my issue which was solved by the M4 Double, here’s a video I put together illustrating the comparison of the draw from a standard flapped nylon double rifle mag pouch and the Zulu M4 Double. I didn’t create this video and write this article to simply tout the M4 Double, but to illustrate the common problem that I’ve had with flapped mag pouches and what the Zulu M4 Double has solved for me. Your mileage may certainly vary and perhaps you haven’t had any issues at all with traditional flapped mag pouches. I feel that the design of the Zulu M4 Double and its reverse flap is a big leap forward in the innovation that continues to drive this industry. If you’re interested in learning more about the M4 Double, we put out a detailed review a few weeks back that you might want to reference, as well as Zulu’s Website where you can order these. I’m curious to hear your thoughts and what you’ve experienced with mag pouches; let me know in the comments. If anything, I hope this article has at the least helped you see the different options out there for mag pouches.